Do you remember the world before Emoji’s? It was a time when we couldn’t code in our expressions in cartoon like symbols without words, which soon will presumably bring about a future generation that will no longer be literate and will only communicate via Emoji’s, all together. So, the future looks not so bright, but it will most definitely soon look orange, which will no doubt please someone like Ed Sheeran. Apparently, some people out there have been left feeling excluded because they don’t feel their physical attributes are being represented in the Emoji library. These are the days that we now live in, the days of children turned adults that got participation trophies for just taking part in sports and such, and now these people demand Emoji’s that confirm that they even exist, because if you don’t have an Emoji that looks like you, then you don’t exist in the minds of many millennials, you know? Currently, there are six skin tones and many hairstyles, but there’s no ginger’s and no emojis for bald people. Shocking! No doubt many liberals will be having hissy fits by now! And, apparently some of them already have been writing into the Emojipedia website, who have thus submitted new Emoji’s after people complained that they weren’t diverse enough. The new Emoji’s could now be rolled out in 2018 by the Unicode Consortium if they are chosen. The ginger’s are finally getting their own emoji. Wow, how diverse! Other Emoji’s that are to be added are those with grey hair, curly hair and even Emoji afros. 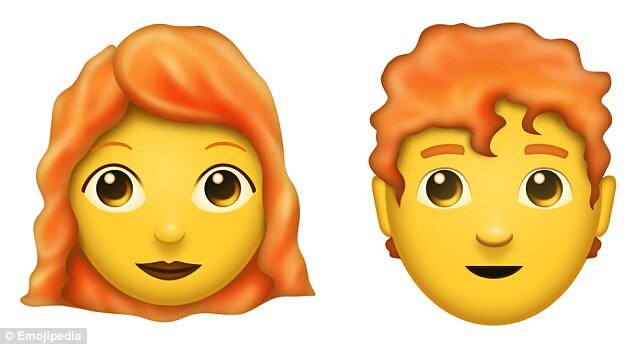 After years of campaigning ginger people will now finally and justifiably be given their very own set of redheaded Emoji’s, which will be good news for Gillian Anderson and Jessica Chastain, as well. 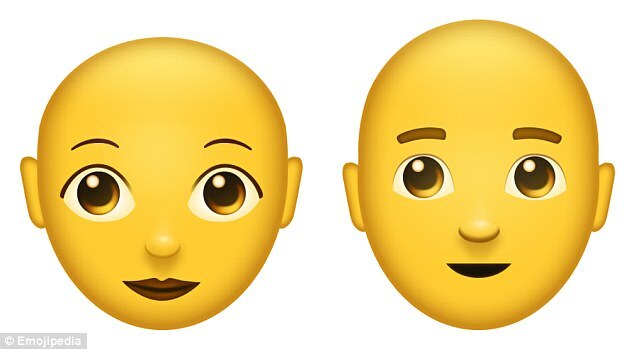 Those that have lost their hair, plus skinheads and neo Nazi’s will surely also be pleased about the forthcoming bald Emoji too. Since in January of 2017, the Unicode Consortium called an emergency meeting following a number of complaints about a lack of diversity. Unicode stated, “Specifically omitted from this proposal are non-naturally occurring features, such as blue hair, piercings and tattoos”. What do you know? The bald people are getting a set too! Now everyone is equal and happy. Hooray! We think they really need the woman with the cow nose piercing, don’t you? How else can they express themselves, without having such an Emoji, right? What about purple hair then?! Oh yeah, there’s already a purple haired woman, isn’t there? But surely, this earlier statement will trigger liberals and produce cries of racism towards those that choose to identify with unnatural hair colours, right? Now as a precedent in caving into these unbelievable demands, soon enough the liberal left’s thirst for their 71 different types of gender identities that don’t even exist, might also need to be catered for. Whatever the hell they were! Anyway, we can expect further backlash, as these types people decide to throw their toys out the pram. Can’t forget about the older generation that probably don’t use new phones that much. 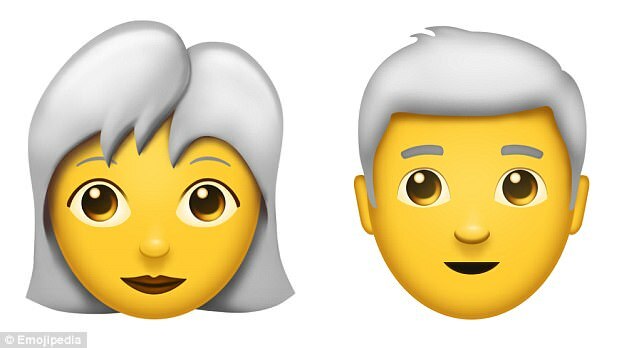 Luckily for Anderson Cooper, he should now be able to feel represented in 2018, when they finally roll out the silver-haired Emoji face, and he can probably send one of those to his boyfriend, at last. In Scotland, where red hair is quite prevalent, they received 20,000 signatures on a petition to include ginger Emoji’s and we suppose that’s fair enough after a global outcry. In 2015, on Google Play Store for Android, ginger Emoji’s were unveiled, but so far the Unicode Consortium for I-Phone have been reluctant to give into the demands of those ginger campaigners. Who knew emoticon’s were of such importance nowadays? That you’d have to complain and campaign for them to be unveiled, so we wonder if some people just have nothing better to do?